http://charlotteskitchendiary.com/2012/01/25/picnic-cake/?replytocom=50 It’s been a while since I’ve reviewed a DJ mix. 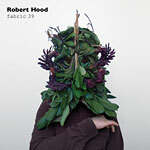 Robert Hood should need no introduction. He collaborated with Mike Banks and Jeff Mills on the first Underground Resistance and Axis releases, then founded M-Plant in 1994 to focus on minimal techno. Fourteen years later, minimalism is finally mainstream in club-land. This mix is a celebration, placing new material alongside classics, and squeezing thirty-two tracks into less than seventy minutes. Exclusive rhythm tracks link parts of the mix. “Element 9” melds with “Who Taught You Math,” an old favorite of mine thanks to its distinctly Detroit keyboard solo. Pacou’s “X-Factor” is used as a link to Hood’s recent “Strobe Light.” Some tracks whip by way too quickly. Joris Voorn’s hypnotic “Fever” could have used another few minutes to sink in. Instead, Hood segues into a Fab G. disco loop, then cuts all but the treble. Jeff Mills gets a shout-out, with just a minute of “Skin Deep.” Other hard, bare-bones tracks which come and go in a flash are “Informant” by Chicago’s DJ Skull and “All It Takes” by Berlin’s Pacou. The energy builds two-thirds of the way through, reaching a peak with over four minutes of Hood’s industrial-sounding “Side Effect.” The tension of “New Energy” by Scorp (aka Parallel 9, Sterac, etc.) breaks with UK Gold’s poppy vocal loops on “Agent Wood” and Los Hermanos’ trademark rhythm on their remix of Hood’s “Still Here.” By the time “The Greatest Dancer” loops kick in, it’s full happiness mode and Hood’s got me. I’ll admit, this style no longer strikes me as particularly experimental. Rather, Hood’s mix is a guilty pleasure and a reminder of minimalism’s underground roots.